Long Island real estate and open house events including residential, commercial, industrial in Nassau and Suffolk Counties on Long Island, New York. Open house is a tradition in real estate sales is to bring in buyers creating opportunities for realtors real estate agents to sign listing agreements with neighbors who stop by to see the open home. Whether you are looking to sell your home, buy a home, rent a house or looking to rent an apartment, check out open house and real estate events on Long Island. 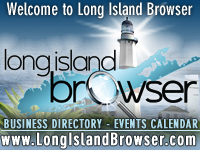 Tags: Long Island real estate events, Long Island open houses, Long Island residential real estate, Long Island commercial real estate, Long Island industrial real estate, Nassau County, Suffolk County, Long Island, New York, for sale by owner, sell your home, buy a home, rent a house or looking to rent an apartment.